Outbursts of popular interest in apparitions and miracles often lead to new devotional movements which can be uncomfortable for the Roman Catholic Church hierarchy, contrary to the belief that they encourage them. Visionaries represent alternative sources of authority within the Catholic community; they claim to have encountered supernatural figures and understood divine imperatives in a way that is commonly thought to transcend the theological expertise of the Church magisterium. They present a prophetic challenge to the Church at all levels and call for renewed teachings and practices. For this reason, the Church has adopted at least three pastoral approaches depending on the nature and content of the visions and their following: (a) accepting the phenomenon and channeling it within the bounds of official oversight; (b) reaching a compromise with the movement, for example, accepting pilgrimage and new devotions at a particular sacred site but not the visionary messages themselves; (c) rejection and suppression where the popular movement has not reached a critical mass. Fátima in Portugal is the most famous twentieth century Catholic apparition site and a prime example of approach (a). Fátima’s visionary, Sister Lúcia (as she was popularly known), was the only one of the three child seers of 1917 to survive the post-First World War influenza epidemic, and she lived until 2005. In 1917, various messages of the Virgin Mary were revealed by the children and became the accepted narrative. 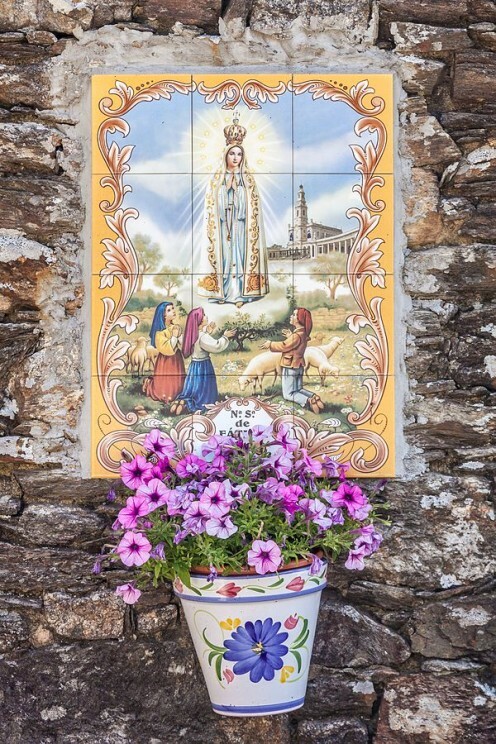 However, during the 1930s and 1940s, encouraged by the local bishop after Fátima had been formally approved by the Church, Lúcia – who spent her adult life in the cloister – began to expand on the original messages in a way that captured the attention of the Catholic public. The so-called ‘third secret of Fátima,’ that part of her revelations that the Vatican held back for forty years, provoked intense speculation as to whether it heralded some catastrophic disaster for Church and world. The text was finally unveiled in the year 2000 by Pope John Paul II, and can be found on the Vatican website under the title The Message of Fatima. The ‘third secret’ was a prophetic vision that Lúcia claimed had been experienced by the children in 1917: a bishop in white ascended a mountain with other bishops, priests, members of religious orders, and various lay people; when he reached the Cross at the summit, he was executed along with the other Catholics by soldiers and angels gathered up the martyrs’ blood. Lúcia added in the text that the child visionaries “had the impression that (the bishop in white) was the Holy Father,” i.e. the pope. So John Paul II interpreted the prophecy as referring to the attempt on his life on 13 May 1981, the 64th anniversary of the first apparition at Fátima. Clearly, he accepted that the vision was symbolically rather than literally fulfilled, as he was in St Peter’s Square and not on a mountain when shot, and he was not killed (which he attributed to the intervention of the Virgin Mary). The other Catholics killed in the vision he saw as representing martyrs on a global scale, particularly victims of ‘atheistic systems’ in the twentieth century. Several writers, including Catholic priests and journalists, have articulated a conspiracy theory about the publication of the text; indeed they have debated whether this is truly the ‘third secret’ either in full or at all. This is a complex issue and cannot be examined in detail here. Nevertheless, to generalise: what these commentators question is the way in which the Vatican has – apparently with the blessing of the elderly Lúcia – domesticated a potentially controversial piece of popular prophecy by first suppressing it for many years and then interpreting it in a way that sees the crisis as belonging to the past and therefore presenting no great challenge to the hierarchy. However, the conspiracy theory misses something more ironic about the prophecy. The messages of Fátima revealed in the 1930s and 1940s gave great impetus to Catholic anti-communism. In some countries, notably in Catholic Spain and Portugal and their former colonies in Latin America, this anti-communist crusade was a key ideological tool in the policies of authoritarian dictators. In Latin America, many Catholics – priests, members of religious orders, and laypeople – joined the liberation theology movement protesting against these regimes, were branded as communist sympathisers, and a good number were killed. At their head was the iconic archbishop Romero of San Salvador. He was shot by agents of the government on 24 March 1980 and killed while celebrating Mass. He would make a better match for the prophetic vision than John Paul II. This way of looking at the prophecy is pure speculation; it cannot be substantiated any more than any other. But yet it is a plausible explanation (if one is to interpret prophecy at all). In the Vatican, the prophecy was interpreted in a way that represented John Paul II, now a canonised saint, as a martyr witnessing against communism; there was no reference to Archbishop Romero, a martyr of right-wing oppression and largely overlooked by the Vatican until the present papacy which has beatified him. This shows how important it is for the Church to channel the most popular visionary phenomena in ways that accord with the official hagiography. In the Roman Catholic Church, since the ultramontane movement of the nineteenth century, the pope has been idolised and regarded as the last bastion of infallibility in a Catholic Church which understands too well that priesthood is no guarantee of sanctity. Thus John Paul II became the hero of Lúcia’s vision and the Polish pope, the icon of a Catholic community resisting communism, took his place in the history of an apparition movement that was at the centre of the campaign against communism. Featured image credit: The Immaculata with six saints by Giovanni Battista Tiepolo. Public Domain via Wikimedia Commons. Chris Maunder is a senior lecturer at York St John University. 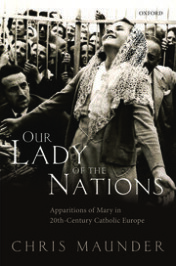 He recently published Our Lady of the Nations (OUP, 2016). Previous publications include Documents of the Christian Church, edited with Henry Bettenson, and Origins of the Cult of the Virgin Mary. He is also chair of trustees of the Centre for Marian Studies. “The first part of the secret: Mary is God. She is not another God nor a fourth person of God. Rather, She is the same God that The Most Holy Trinity Is. She, Mary, is the Most Holy Trinity, The Father, The Son, and The Most Holy Spirit, One God. Is Dominic Sanchez experience approved by the Church? I think his claim of Mary’s divinity is quite a big one. To claim that Mary is God is a big Theological claim. Dominic L. Sanchez might be considered a heretic. any one can claim anything these days! what’s his bishop done about it? very interesting claim. but anyone can claim anything these days…he must have church approval before going any further. rico villaruel -> does this dominic sanchez have any official site to refer to? interesting saw this site about Sanchez’s claim at https://dominiclsanchez.wordpress.com I still havent seen any supporting documents as to Church’s approval.